Boys basketball tryouts begin today for the new season. Before hitting the hardwood, new varsity basketball coach Travis Carr sat down with writer Madison Strang to answer some questions. 1) Why did you become a basketball coach? 2) What made you want to go out for the new head coaching position? What qualifies you for the head coaching position? 3) What are some of your experiences with basketball? 4) How are you going to balance being a teacher and a head coach? 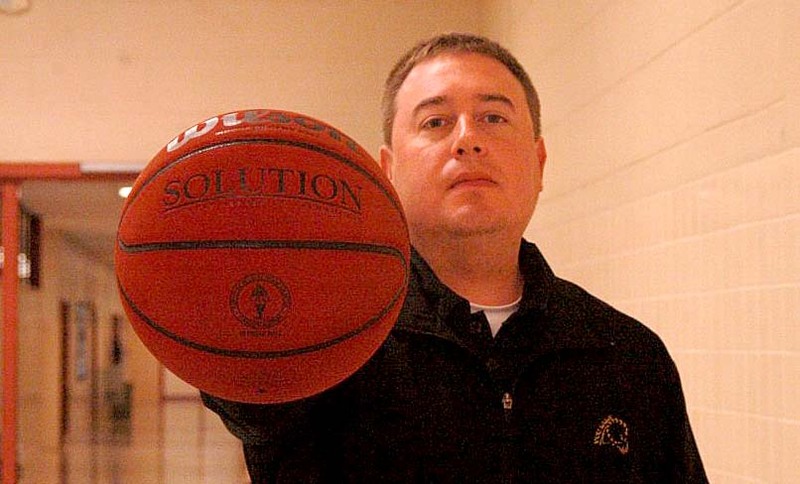 Travis Carr has been promoted to Head Coach for the Boys Varsity Basketball team. The season begins at home November 20th. Photo by Madison Strang. 5) What changes are you going to bring to the team? 6) What are you expecting out of your players?